Adventure series go nowhere unless characters convincingly survive harsh realities. Mysteries and thrillers depend on convincing forensics. Historical and science fiction require credible props and possibilities. Errors, overstatements, or ill-formed facts will jolt content-area experts and high-level hobbyists right out of any narrative. 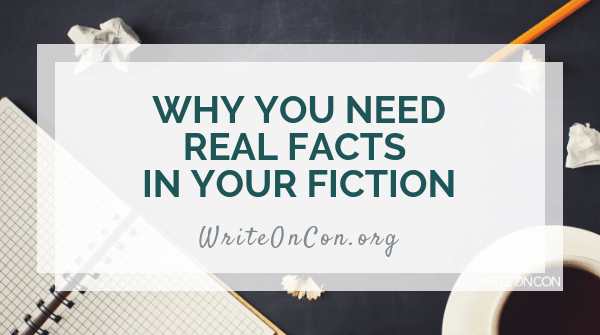 Perhaps more importantly, gaps, omissions, and errant conclusions undermine a reader’s knowledge base and degrade the story’s general integrity. BUT WHAT ABOUT CREATIVE LICENSE? Use creative license to bypass misconceptions. Yes, reshape reality to build or enhance a plot and setting. But do so with careful research. Weave in facts and dispel empty myths to offer pedagogically-sound plots. Readers of all ages invest time and spirit when delving into the world a writer creates. Make sure they’re digesting, adoring, and sharing richly cohesive, precise ideas. Biology – People are plant blind (really). Many overlook or anthropomorphize dynamic aspects of most every plant life function. For example, plants don’t sleep. A personified Tulip is fine. But when the day’s over, why not slip in a bit about its movement as a function of its heliocentricity (as opposed to closing eyes and snoring). This isn’t just for the picture book crowd; even MIT graduates don’t get everything right. Space Science – There’s no oxygen in space. So interstellar explosions can’t be fiery. Sure, a zillion great scenes include burning space blasts. Yet how much greater would it be for space-savvy readers to enjoy a story where the evil spaceship implodes as physics dictates? Paleontology – Data and discoveries get updated. Don’t get left behind. Kudos to the new Dactyl Hill Squad by Daniel José Older for including dinosaurs with feathers. Geography – The Statue of Liberty is not in New York. Climate and weather are not the same. Not all deserts are hot. Avoid annoying readers with badly behaving monuments, landforms, etc. See here and here for more miscues and corrections that span the globe. Scriptwriters, see these movie geo-bloopers. Chemistry – Alan Bradley’s Flavia de Luce series stars a tween-ish lab-savvy, accidental detective. Plots move on Flavia’s clever applications of chemical facts and the process of inquiry. Be like Alan. Chemistry is everywhere, so double-check what you think you know. See these 45 distilled misconceptions direct from science teachers. Diversity – It’s okay to write about people who are not carbon copies of you. Research can help you avoid accusations of appropriation or obtuseness. If identity analysis is a key to your book, be sure you have a 360-degree view of any relevant trait(s). If that’s not you, consider incorporating small, telling traits that don’t signal false expertise. A story with two feuding brothers may note one’s curry cravings and the other’s favorite cricket team. These connections to Indian culture are not the main reason for the story. They offer variety in a story where universal truths of human nature are the point. You don’t need a Ph.D. for every topic you touch. Yet at a bare minimum you do need to have the right vocabulary. Not all synonyms are created equal. Some words don’t even have synonyms. Get expert help to craft wording that does not mislead. Then verify, edit, and verify again. 1. Google the topic name and the word ‘misconceptions.’ The results are enlightening. 2. Let Wikipedia citations point the way. And know that experts do vet entries (see WikiEdu). 3. Study peer-reviewed journals. The abstract may be enough if you’re describing — not building — a rocket. Need more? Libraries offer full article access (which bypasses pricey subscriptions). 4. Read science and technical magazines for research summaries, expert insight, and hot or controversial topics. 5. Conduct formal interviews. Give a 3-line project synopsis and ask 2-3 specific, well-considered questions. Offer digital or in-person follow up options. Ask permission to quote or cite. 6. Talk to experts in daily life. Be curious. Gain obvious or hidden expertise from neighbors, mechanics, and retailers — but ask permission here, too. 7. Mine the New York Science Teacher library of misconceptions. a. Join discussions on the science exchange platform, Trellis. b. Engage scientists with answers via Twitter’s @MeetaScientist. c.	Check out Dan Koboldt’s curated list of experts with Twitter directory of chatty nerds. Which misconception disrupts your reading pleasure? Which will you eradicate from your writing? Brilliant reminders, Katie. I will be saving these misconception links! Though I’m writing for young adults, I researched wolves all summer so that my wolf character was as realistic as possible in sight and sound. Thanks, Christine. Wolves are fascinating…I’m sure you have so much to weave into your work. Glad the links are useful to you. After reading that fiery blasts are not possible in outer space, I imploded. I absolutely love this. This is why I love spending time on doing research because even though my book is fantasy, these reminders still apply! Thanks for the kind words. Glad to know it’s part of your practice.